This is a 2D Java game that I developed as a school project together with three other students. The goal with this project was to design a good user interface. Much work has been put in designing both the game itself and the menu system to make it as intuitive as possible. 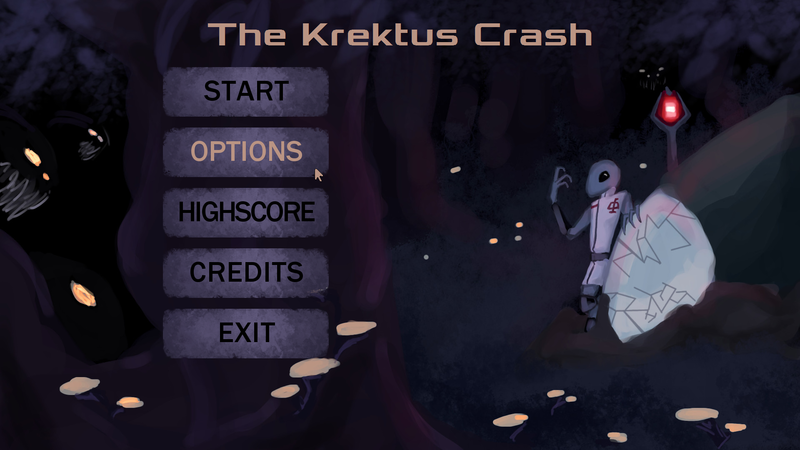 In this game the user controls an alien that has crash landed on distant planet called “Krektus”. The goal of the game is to defend the alien and the crashed space ship from evil monsters and try to survive as long as possible. The game can not be won, but the player is given a score based on number of monsters killed and the time passed. The player can submit this score to a global highscore list that is saved I a database on a server. The top ten list can be viewed ingame, and the entire highscore list can be viewed here. 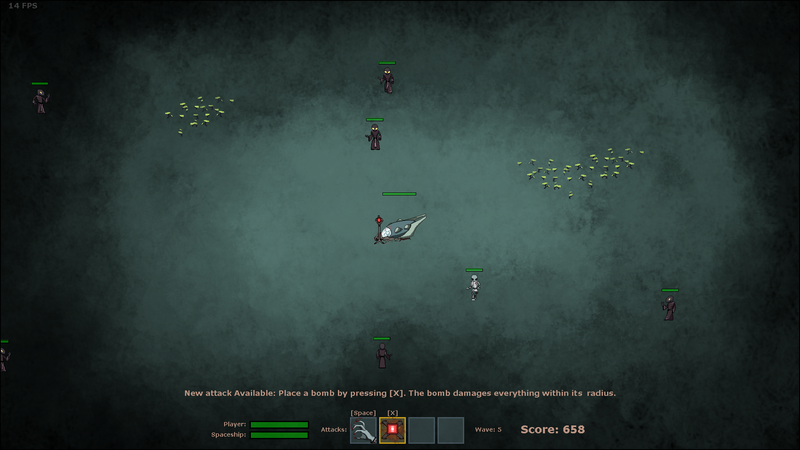 The beginning of the game is designed to be simple enough for a new player to survive to first waves on enemies, it then becomes harder over time. New attacks are introduced gradually in the beginning of the game to give new players a chance to learn how to use them. The game runs in fullscreen and uses triple buffered graphics. All images are rendered to the screen using the built in Graphics2D library in Java. No Third party library is used. The game’s native resolution is 1080×1920 pixels. If it runs on a screen with wrong resolution it will be scaled to fit the screen, this may cause the game to look bad. The game menu is built using standard JFrames and JButtons with custom images an appearance to give the desired look. All images in the game are drawn specifically for it, and all sound effects and music tracks used are creative commons licensed or public domain. Since there are other persons involved in this project, and I have not done everything myself. I will not release the code here. If you are interested in specific parts of it, email me or comment below. You will need to have Java installed to run it. The game is only tested on windows machines.